and skills when it comes to lighting, composition and material definitions. from Switzerland to Berlin to attend the Games Academys 3D Art & Animation course there. so I worked on my skillsets to become an Environment Artist as this was kind of a natural fit. While studying though, I more and more realized that I wanted to go more towards lighting and materials. so I started an internship at Berlin based YAGER (Developers of Spec Ops: The Line) in 2012 as an environment artist. 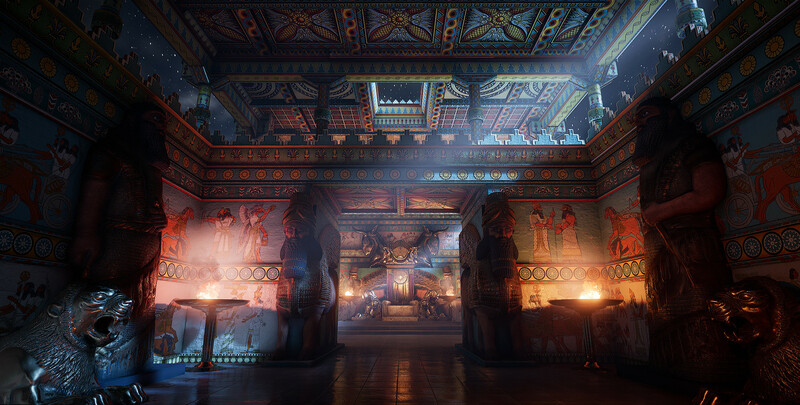 At YAGER, I had the opportunity to strengthen my skillsets and develop myself towards a lighting artist. YAGER is and has always been an Unreal developer, so I had the chance to work with Unreal 4 before it was even publicly released. I worked on Dreadnaught while it was still in the prototyping phase and later transitioned to Dead Island 2, which we were working on at that time. During the development of Dead Island 2, I had the chance to grow tremendously and eventually became a technical lighting artist. rock shaders as well as RnD for our lighting systems together with some graphics programmers. Sadly, during the summer of 2015, Dead Island got cancelled and I joined a RnD and prototyping team at YAGER. This was super interesting and fun, but ultimately unfulfulling, which made me apply at DICE to join their lighting team in Stockholm. despite the first one: Outer Rim. 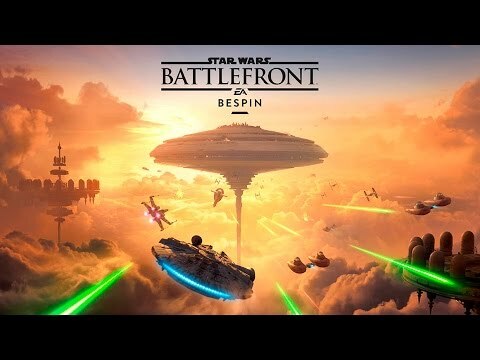 So I worked on Bespin, Death Star, the newly released Rogue One Add On as well as together with Criterion on the PSVR Mission. Thankfully, I got some great support to help me at getting used to Frostbite with the amazing Oscar Carlen, one of the most experienced lighting artists I have ever worked with! 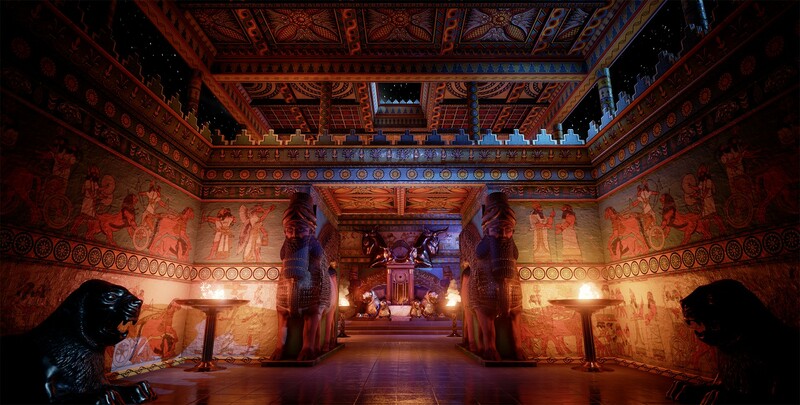 I have also been teaching Unreal 4 and lighting at the Future Games here. and sharing it to help others improve their results. It has always been a blast for everyone involved and I want to do this more. and I am going to show tricks and tips and will work on improving the scenes. Its kinda like what some concept artists do when they take images from other people and then paint over them to show how the artist could improve. The results will always be shared in this thread so everyone can learn from them. Do you guys think this is something you would like to see and more importantly, do you want to share scenes so we could actually do this? This will be a community thing, so I cant do anything without you guys! 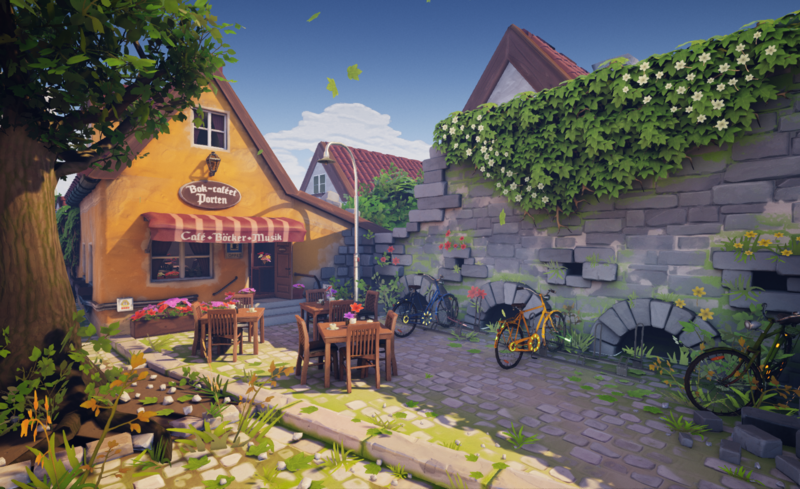 I want to show you guys a couple of results from my students so you get a better impression of what you can expect from this The examples shown here are all from the Unreal sessions at Future Games Stockholm. 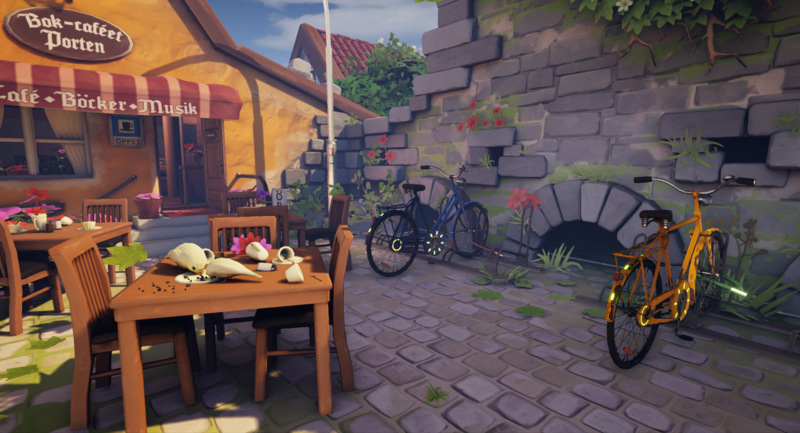 Henrics main goal was to really go for the Overwatch feel and style, but while his assets where already super close to the look he wanted, everything else felt quite a bit off. We talked quite in depth about what makes Overwatch look like Overwatch, and I strongly suggested that he switches over to use Lightmass instead of dynamic lighting to get better readybility, values and overall interest into his scene. Joan also was part of my class at Future Games, the scene he worked on there can be seen on his Artstation and its called "Trabant". However, Joan contacted me shortly after our session was over and asked for feedback and a bit of help for a new scene he was building: The Throne Room. 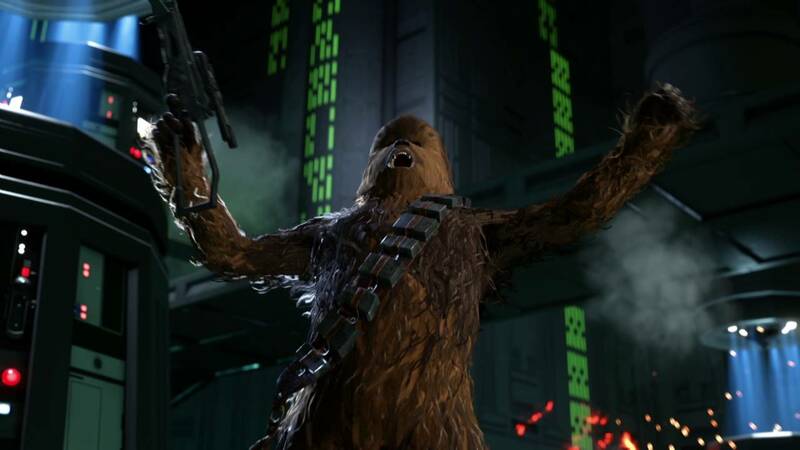 And again, big shout out here to Oscar Carlen who lit the Battlefront main game basically alone and set a new standard for realtime lighting with this project! Thanks for everything Bro! So yeah...quite a big post! But this wrappes everything up for now. Lemme know what you guys think so we can get the fun started and make some great stuff!! What is the best way to share it? That is actually awesome. I love the idea that you overhaul existing projects and scenes and at the same time teach us how it's supposed to be done. Thanks a lot man! Yeah, its supposed to be fun and educational at the same time so lets see where this leads I am probably gonna do some basic Videos about certain aspects of Unreal and lighting theory in general as well. Last edited by Daedalus51; 01-17-2017, 01:03 PM. Lighting is one of my weaker points which I would love to get better at. This is such an awesome idea. Thank you for wanting to share your knowledge and experience, I am going to keep an eye out on here and maybe submit something. But I mainly just wanted to voice my support on this. Me and many others would really love learning about how to improve our work which in turn will benefit the people who end up looking/playing our creations. Can't wait to see where this goes !!!! I dont have any new scenes yet, but when I do I would love to get some tips. Thanks a lot for doing this. Sobald wir eine größere Szene haben, werden wir uns auf jeden Fall bei dir melden! Id love to see someone make a tutorial with space lighting. Space lighting is hard to do right now because the shadows are too dark to see any detail and if I put multiple directional lights in different directions everything is too bright. Its not really a scene, an empty level with space background and when the game is started, all the players spawn and enemies spawn into the level so its more of real time lighting instead of a baked level lighting with static meshes. Thats what Im trying to achieve is actors placed into the level instead of an actual Level like in the pictures above. 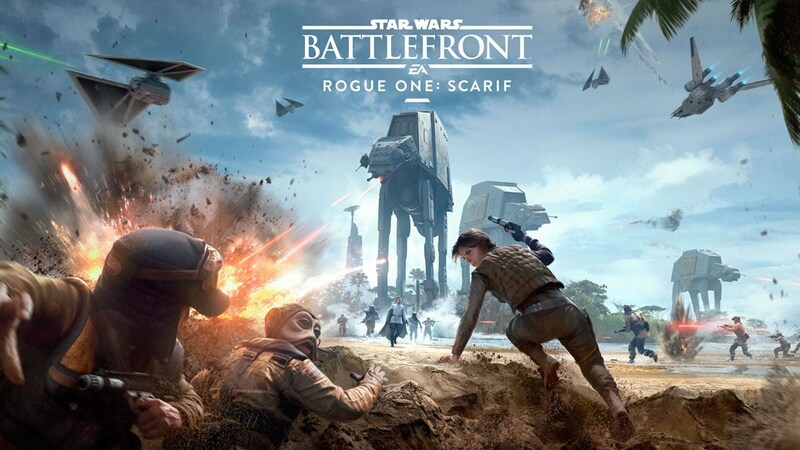 Like for example in the battlefront DLC space flying level with the star destroyers it has half of the star destroyer lit and the other half a shadow. The shadow part still shows up really good that you can see the detail unlike the asteroids in the beginning show almost complete black on the shadow. Well....the Star Destroyers are actually baked, so they receive bounce lighting. However, the full shadow side doesnt really benefit from that since its core shadows, so GI is kinda useless there anyways in space. I did multiple other scenes where the SDs are not baked and look almost equally as good, so thats not a problem^^ The reason the asteroids look so dark is actually that the Diffuse Values are less ballanced on those compared to the SDs. What you want to achieve is not really that difficult and I actually have a half finished spaceship somewhere XD So I could try to make something for some nice space lighting. However, I do have a small announcement since I actually will receive the first scene to work on later today or tomorrow. So I could tackle space stuff afterwards. quick announcement from my side. I got contacted today by one of the first year students at the Future Games. She would really like to get some help and feedback/input on her stuff, so we are working towards making this happen right now.